Dentons is your trusted advisor for all things digital. The digital revolution is altering the global economy and shifting how businesses function. 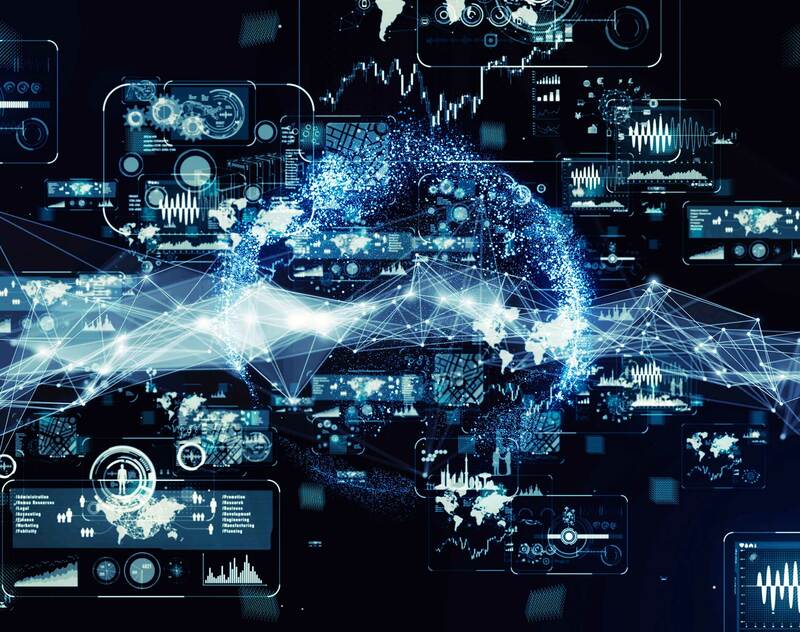 Companies are adopting transformative technologies to harness the power of data and gain a deeper understanding of customers, markets, competitors and trends. This digital transformation creates enormous opportunities and a constellation of risks, many of them new. For most companies, digital transformation starts with developing a data strategy aimed at making informational assets useable. The adoption of transformative technologies cannot occur without the effective management of data. That is why we have made Dentons Data the center of our Transformative Technology and Data Strategy practice. More than just legal services, Dentons Data is a scalable, phased, end-to-end suite of services that provides our clients with a one-stop solution to digital and informational resiliency. For businesses exploring, implementing or optimizing their data, Dentons Data provides a menu of proven solutions to solve the problems businesses encounter as they embrace digital transformation. Manage costs and achieve cost certainty through our innovative and flexible pricing model. Implement effective solutions incrementally, and avoid overwhelming teams or processes, using our phased approach. Identify and mitigate risk early to reduce costs, while still effectively managing critical digital transformation projects. Not sure what solutions are best for you? Contact us to arrange a Solutions Assessment at no charge. Complementing the Dentons Data suite of data-focused services is our comprehensive knowledge of various transformative technologies. We leverage this deep experience to navigate the interconnected legal and business challenges faced by established companies, as well as start-ups. Our national multidisciplinary team of lawyers and advisors focuses on the full lifecycle of digital innovation. Our experience with various transformative technologies is highlighted below. Advising on the defensible uses of data and analytics in regulated environments, such as financial services and healthcare. Dentons’ global experience has allowed us to draw insights and best practices from lawyers who do work in countries that have adopted or are adopting open banking. We ensure our clients are well prepared to adapt to the rapid changes in the payments, financial regulatory, fintech and banking innovation landscape. Regulatory requirements for new entrants. There has been a surge of new businesses that apply technology to existing business functions. Incumbent financial services businesses are also engaging these Techs to improve and automate the delivery and use of a broad range of financial and other related services. Regtech – Helping businesses implement risk-modelling solutions, advising financial enterprises adopt behavioural analysis in trading environments, and assisting financial institutions in acquiring and deploying identity management solutions. Dentons’ AV team helps you navigate the still-evolving patchwork of national and local laws, regulations and guidance relating to the development and deployment of AVs. We have provided a full array of tech, regulatory, transactional and litigation support to startups, small businesses and large multinationals. Our team delivers creative, standout solutions to help you achieve your strategic objectives, minimize your risk and grow your market share. In addition to our bench strength in the tech and automotive sectors, our global footprint uniquely positions us to provide you with timely solutions to your most complex business and legal issues, no matter where you are located or do business. Dentons has helped smart city stakeholders develop data governance frameworks and address nascent privacy issues. We have helped the suppliers of sensors and infrastructure address issues of ownership and control over smart cities’ data (whether personal or non-personal). Dentons has acted for both domestic and international clients, and infrastructure industry participants in smart city developments. Our team has extensive experience in corporate/commercial law, real estate, construction, tax and project finance, as well as in the more focused areas, such as procurement, environmental and aboriginal law. Our integrated approach means that businesses participating in smart city developments derive appropriate benefits from their investment while having appropriate risk management strategies in place. Clients also benefit from the knowledge of our global knowledge and thought leadership in our Smart Cities Think Tank. Assisting companies on bringing new devices to market and advising them on local market consumer protection requirements. Confidential client: Defending a Canadian company in a regulatory investigation into its use of facial detection/recognition algorithm. Ruby Corp (formerly Avid Life Media) owner of Ashley Madison: Advising with respect to the company’s privacy program to ensure that it aligns with and satisfies Canadian privacy requirements. Confidential technology client: Advising client on the applicable privacy, data security, and telecommunications laws regarding the collection, use and disclosure of voice data in a real time translation device being launched in Canada. Confidential technology client: Advising on all aspects of the launch of a “connected home” product/service. Confidential technology client: Reviewing the consumer-facing agreements and marketing collateral for a large tech company launching a “smart” voice-activated communications screen, and advised on compliance with Canadian privacy laws (in particular, the collection and use of biometric information and the quality of consent), while working with the legal groups to re-engineer certain aspects of the technology to be compliant with Canadian privacy laws. Confidential client: Advising on complex, multi-party electoral-driven targeted behavioural advertising solution that represented a new business line for the client. The project included advice on privacy, data security, advertising and electoral laws in a rapidly changing regulatory environment. Confidential agricultural client: Assisting the client to develop and implement a data strategy, including process to digitize several decades of collected data, onboard and deploy an analytics provider, and implement the processes for deriving value from the data. Confidential financial services client: Advising a new entrant into the financial services marketplace on API adoption, consent regimes and agreements for screenscraping, and regulatory requirements. Confidential client: Advising an online blockchain-based lending platform with respect to all regulatory and licensing matters. Confidential Fintech client: Advising a leading identity and authentication provider in commercial and corporate matters, as well as on the raising of CAD$27 million in the form of equity investment from Canadian financial institutions. White Star Capital: Representing White Star in its investments in a number of Fintech companies worldwide including Borrowell, Drop Financial and Klaxoon. Confidential insurance client: Assisting an insurance company onboard a data analytics platform, and advising on the parameters of permissible usage-based insurance solutions. Confidential financial services client: Advising on the adopting of behavioural analysis software in trading environment for improved compliance. Cisco Canada: Canadian counsel advising on regulation of installation of computer programs and anti-spam laws. 23andMe: Canadian counsel advising on privacy and regulatory matters. Confidential commercial real estate client: Advising on the deployment of commercial aerial drones for the purposes of mapping commercial real estate opportunities. Distributed ledger technology (DLT) has attracted widespread interest because of its potential as a transformative force across diverse industries. While broad adoption of this technology will take time, businesses may want to explore implementing DLT-based platforms. We believe they can increase efficiency, accuracy, transparency and security in record management and finance while minimizing cost, providing significant competitive advantages to companies that adopt this technology. This article will discuss (i) how blockchain and distributed ledger technology (“DLT”) and smart contracts will reshape the corporate lending space throughout the world; (ii) practical examples of near-term opportunities for the financial community to leverage this technology in a meaningful way; and (iii) the new roles that bankers and lawyers can play when using this technology. Kirsten Thompson – Quoted in “Rise in cashless payments stokes concerns over data security", The Globe and Mail, March 31, 2019. Your trusted advisor for all things digital.